Game of Thrones vs. A Song of Ice and Fire: Which is the REAL Game of Thrones? The junior sociopath in training: Joffrey Baratheon (Jack Gleeson) and Margaery Tyrell (Natalie Dormer). © HBO. 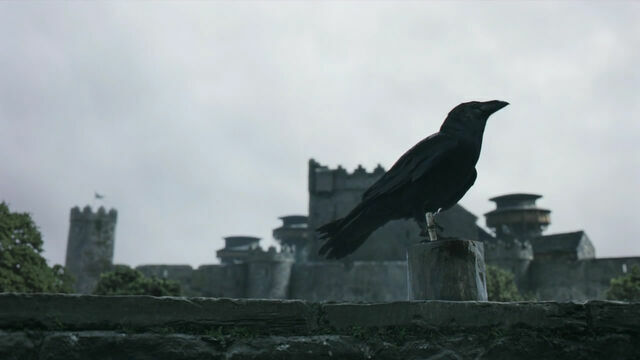 Are the A Song of Ice and Fire novels better than the Game of Thrones TV show? Or, do you think the novels are too long and like the TV show better? Although Game of Thrones showrunners D. B. Weiss and David Benioff have tried to stay true to the novels, as George RR Martin has noted, a little change in Season 1 becomes a huge change by Season 3. Olga and Craig Hughes, editors of Nerdalicious and beloved contributors to this website, have launched a provocative series called, “The REAL Game of Thrones.” Craig discusses the only-sometimes subtle differences between the novels and the show as well as how the changes in the show affect our perception of the characters. What a difference a nose makes – Tyrion’s face after the Battle of Blackwater © HBO, linked via Wikia. In the first article, “The Real Game Of Thrones – Tyrion’s Face,” one compelling point Craig makes is that the show’s decision to make Tyrion less ugly after the Battle of Blackwater — in the novels he loses his nose in the battle — results in Sansa appearing shallow. Because Tyrion doesn’t look all that hideous on the TV show, it makes Sansa appear superficial when Tyrion repulses her. In Craig’s most recent article, “The Real Game Of Thrones – Why You Don’t Hate King Joffrey Enough,” he notes how in the novel Joffrey is tall, beautiful, and strong whereas in the show he is shorter and wimpier. For better or for worse, a slighter Joffrey really accentuates his cowardice. But, Craig also discusses Joffrey’s cruelty to animals — the classic hallmark of the psycho killer — something that’s left out of the TV show. Novels aren’t always better than films. Each medium is different and has its own unique requirements. Olga and I have been debating whether the novels are better than the show off-line for weeks. Olga greatly prefers the novels but still likes the TV show. I love the TV show, but when I reread the novels I remember how wonderful they are all over again. The novels are a marvelously immersive experience and the backstory is much richer in the novels. But the TV show has such rich clothing and marvelous sets that both versions are deeply transportive experiences. I think that it’s really hard for a TV show or movie to ever match up to a book exactly, especially ones as long and detailed as Martin’s! Not only do readers have their own ideas about what characters and places should look like, but there is no way to include absolutely everything from the books and sacrifices have to be made, which viewers may or may not agree with. That said, I think that the GOT TV show does a really good job of adapting the books into an entertaining series which represents most of the elements of the books very accurately (IMO). However, I watched the first series before I started reading the books so maybe it was easier for me to imagine everything the way they represent it! With regards to the changes they have made so far, I’ve found some understandable and some confusing, so I’m intrigued to see how those differences play out. 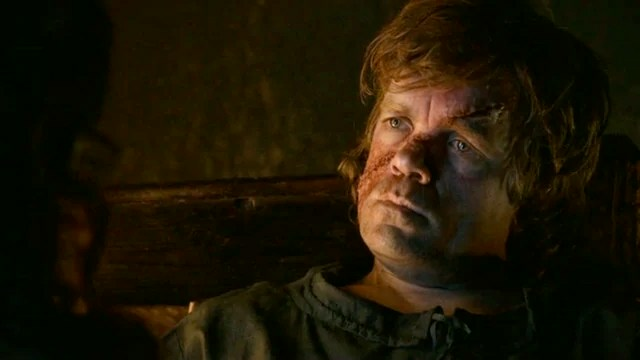 It would have been physically difficult for the show to match the amount of damage on Tyrion’s face that is described in the book, and Sansa has plenty of good reasons for not wanting to marry him. They’re in a medieval setting and he is, as they say, a dwarf, he’s a leading member of the family that killed her father and then her brother, she’s being held hostage by his family, her storybook romance with Joffrey turned into an abusive nightmare and her hopeful marriage to a handsome and kind man of a respected family near her age (who she didn’t know was gay) is now replaced by marriage to a man decades older than her who she knows mostly through one or two interactions (admittedly kind but suspicious ones) and it has all that family baggage. So if Sansa gets a pass because of Tyrion’s horrible injuries in the books, I’d say she at least has understandable reasons to be upset in the show. As for Joffrey, this is the same person who ordered Sansa’s father killed, forced her to look at his head, boasted about how he’d kill her brother, constantly humiliated her, forced a man to choose between losing his tongue or his hands, forced one woman to abuse another with the threat of death and shot a woman to death just because he could. And those are just the things he’s done that I can remember off the top of my head. I don’t think we need animal abuse and an uglier Joffrey to think that he’s a horrible person. There are other changes made might have been necessary for time and budget limitations like Willas being written out, Stannis being less politically intelligent and more just a follower of Melisandre and Jeyne’s death that are causing problems for the story as it progresses. I don’t think that Tyrion’s face and Joffrey’s looks are among them. I wouldn’t say either Craig or I think there are any particular problems with the show Grant, we are both big fans. What we’re writing is a series of articles looking at how characters can be perceived differently because of the differences in the two mediums. I can’t agree there are any particular logistical problems with giving Peter Dinklage a fake nose though, I believe it is for aesthetic reasons. There are a lot of actors in the show who are far better looking than their characters in the books – Ramsay and Jorah for example – which is a result of casting the best actors for the part. I adore Iain Glen, but he is certainly not an immense and hairy guy. I definitely prefer the novels. I love the show but feel that something is lost in the adaptation. The visit to the House of the Undying is a perfect example. I’m going to have to go back and re-read the passage about the House of the Undying now. I bet that is richer in the novels. When I read the novels three years ago, I read them way to quickly. I’m rereading Storm of Swords right now.